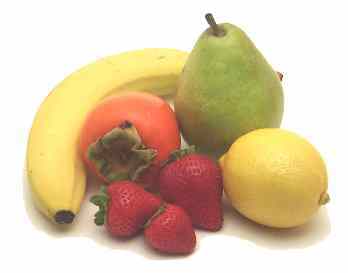 Fruits are the matured ovaries of plants, containing the seeds for the next generation of plants. Many plants cunningly make their fruits sweet, the better to attract animals like us to eat them and disperse the seeds. Fruits are often delicious enough to eat out of hand, but they can also be made into tarts, compotes, shakes, juices, preserves, liqueurs, and many other things. Pome Fruit, which includes apples, pears, quince, Asian pears, loquats, and crab apples. Fruit Vegetables, including tomatoes, eggplants, winter squash, summer squash, Asian squash, cucumbers, sweet peppers, fresh chiles, dried chiles, olives, avocados, and tomatillos.